U1 won Filmfare Special Jury award for his sensational telugu hit album Oye. 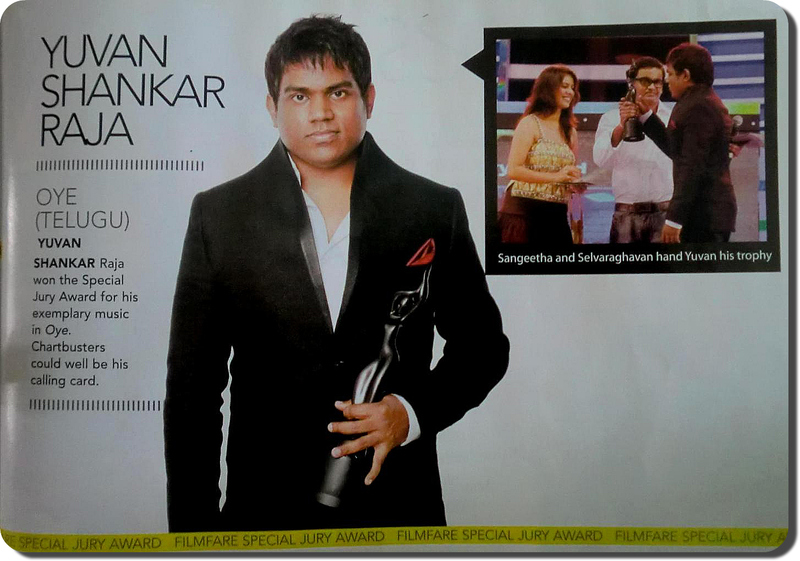 This is the first award he received for a direct telugu album and it was presented to him by Selvaraghavan. its really glad to read this news. yuvan your my evergreen hero i love ur voice and music very much.